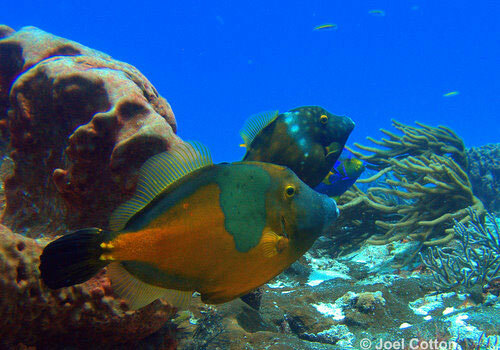 This reef is in front of Chankanaab Park. Mild currents make this a good dive for novices. 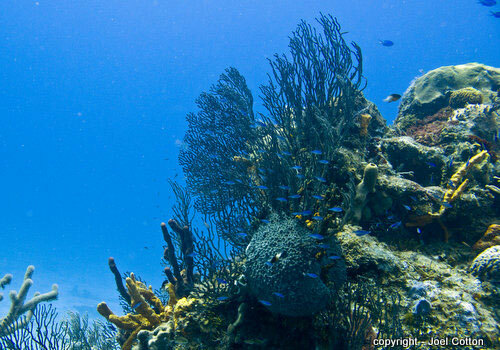 The abundance of sea life makes this an interesting Cozumel Dive Trips for all levels. Generally the current will run from North to South, sometimes picking up the cool fresh water from the Chankanaab lagoon. It is sandy with larger coral heads. 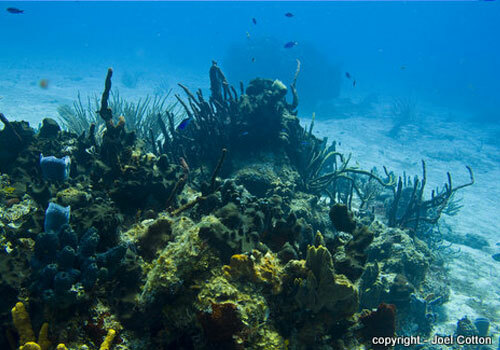 Near and under the coral heads you can find Spiny lobster, crabs, Spotted Moray eels, and Grunts and Snappers. You might spot an eagle ray here. 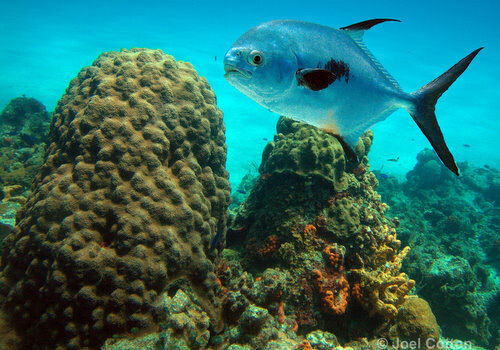 but for that you need to buy Coral Reef Guide to learn more about coral. In the sand, you will find sting rays, peacock flounder, urchins, and possibly a sea horse.